Successfully Added Xiaomi Redmi Note 5 Android Phone - Snapdragon 636 CPU, Octa-Core, 6GB RAM, Dual-IMEI, 4G, 2K Display, 12MP Cam (Black) to your Shopping Cart. If you’re looking for an ultra-sleek Android phone that treats you to the latest hardware and software alike, the XiaomiRedmi Note 5 is perfect for you. This stunning smartphone comes packed with the Qualcomm Snapdragon 636 processor. Clocked at 1.8GHz, this Octa-Core CPU brings forth enough power to tackle the most demanding mobile entertainment. Along with the phone’s 6GB RAM, it lets you enjoy games and movies without ever dropping a frame. This latest Android smartphone comes with a stunning 5.99-Inch display that features an 18:9 full-screen ratio. With its 2160x1080p resolution, this display treats you to a truly cinematic experience from the palm of your hand. The XiaomiRedmi Note 5 smartphone runs on the trusted Android 7.0 operating system. Thanks to this, you’ll be able to enjoy all the latest software features the industry has to offer while undergoing a smooth user experience. The phone treats you to a whopping 64GB internal storage as well as a 128GB SD card slot. With all this storage at hand, you won’t have to worry about running out of place to keep your files and media any time soon. Thanks to a powerful 4000mAh battery, you’ll be able to enjoy all this latest Android phone has to offer for up to 12 hours in a row. From now on you can head out with coincidence as worrying about an empty battery will be an issue of the past. With its Dual-Band WiFi and 4G support, this Android smartphone treats you to ultimate connectivity. Whether you’re at home, in the office, or enjoying a walk outside - with the XiaomiRedmi Note 5 you’ll always stay connected. Your Android phone furthermore comes with Dual-IMEI numbers which means that you can be reached on two phone numbers simultaneously. This makes your smartphone perfect for separating work and private life. Accessing your phone has never been easier with the ultra-fast fingerprint scanner this Android phone has to offer. Simply press your finger onto the sensor, and your phone will open up in the blink of an eye. At the rear, this beautiful Android smartphone has been equipped with a professional-grade 12MP Dual-Lens camera. It furthermore comes with a 13MP front snapper for taking great selfies and engaging in FHD video calls with friends and family. 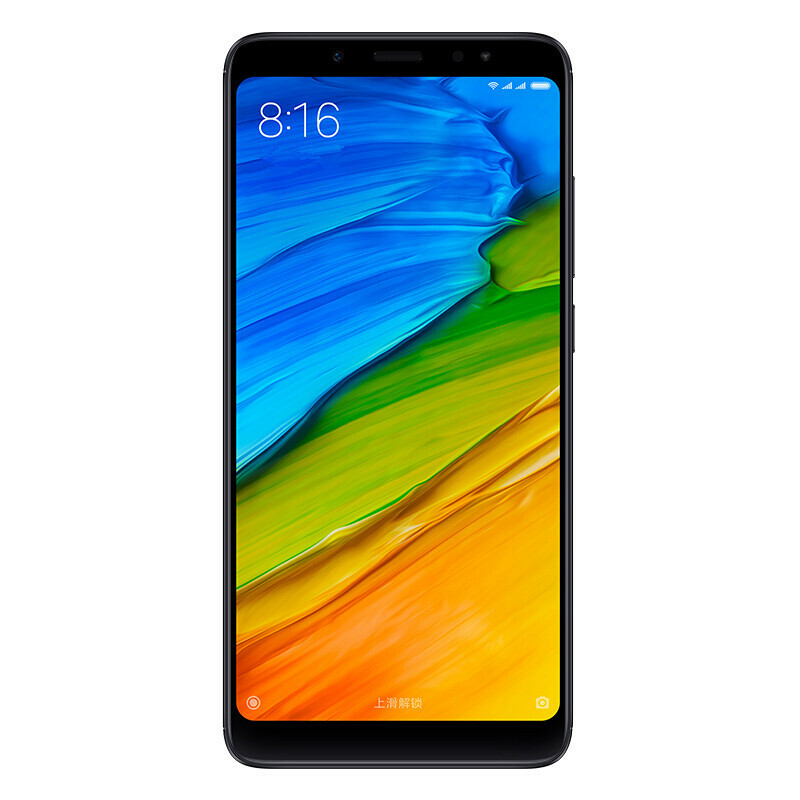 The XiaomiRedmi Note 5 Android phone comes with a 12 months warranty, brought to you by the leader in electronic devices as well as wholesale smartphones..